In March we identified a possible new trend: fashion designers putting their mark on consumer electronics, one of the few sales categories that has remained fairly strong during the recession. Well, it looks like it really is a trend. We see that QVC is offering a laptop whose shell was decorated by designer Vivienne Tam. The netbook has several butterflies on its top, a motif inspired by Tam’s recent clothing lines. QVC is selling this “HP designer digital clutch” for $600. “A glamour gal is always fashion forward–whether she flaunts a runway-ready look or uses the hottest, hippest electronics around. This Vivienne Tam Edition Mini netbook fits in with your luxurious lifestyle–and is made to fit in your high-fashion purse! Designed with an HP imprint of the Butterfly Lovers theme–from Vivienne’s spring 2010 collection–this trend-setting tech sparkles in a high-gloss champagne gold. In keeping with the trend of home shopping channels offering more consumer electronics, ShopNBC Friday is offering a MyGoTV digital LED pocket TV as its Our Top Value. 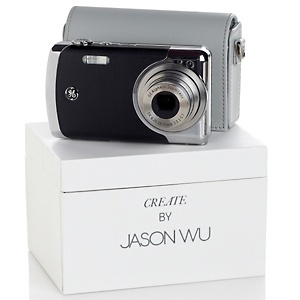 The item, the first time ShopNBC is offering such a product, is selling for $169. * While tailgating and then into the stadium for close-up views of the action and replays. * While camping, hunting or other outdoor activities. * To keep kids occupied in the same room while you’re watching a program on another TV. * In the kitchen since the MyGoTV Pocket TV doesn’t take up much space and doesn’t require an outlet. * In the waiting room at the doctor’s office. Is An LG HDTV Set A Home Theater System? QVC Seems To Think So…And How Did The Gold Rush Pan Out? Yesterday we wrote that QVC’s Today’s Special Value would be a home theater system from a new vendor to the network, LG. Why did we say that? Well, QVC’s program guide described LG’s midnight show as “LG Home Theater,” with a blurb talking about the manufacturer’s home theater systems. Well, the QVC TSV is from LG, and it’s a 47-inch high resoluton HDTV set, at $895. Last time we looked, a TV set is not a home theater system. A home theater system is speakers, surround-sound, etc. So why did QVC lead customers and snooks like us to believe the day’s best deal would be a home theater system, not just a TV set, in its online program guide? You tell us. By the way, we’re still waiting for the QVC PR department to put out a press release on the network’s Jan. 24 annual California Gold Rush sale. QVC was boasting that it had than $30 million worth of gold jewelry to sell. QVC never told us what happened with the Gold Rush, which means one of two things: It did not sell all $30 million worth of merchandise, or it did and the PR department was too lazy to put out a release on it. Either way, it not good for QVC. You are currently browsing the archives for the consumer electronics category.